Wow! Is that placed called Sketchbook? It is! And they serve drinks and food there?! This deserves closer inspection. This truck parked outside must be a sign of the wonderful animation related stuff inside! It has the Peanuts gang painted on it. 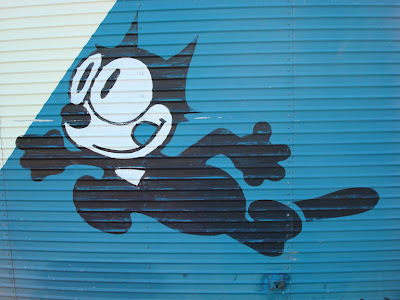 And is that Felix the Cat painted on the other side? It is! He's got the right idea; let's hurry into this Sketchbook place where we'll meet all sorts of artists and cartoon-related stuff. Oh. 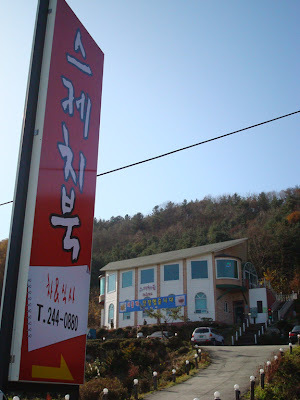 It looks like just a regular eating place. Wait a second! 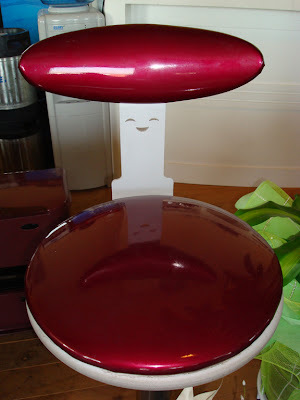 This chair looks happy and cartoony! No, no, no. . . I'm just looking too hard for animation stuff. 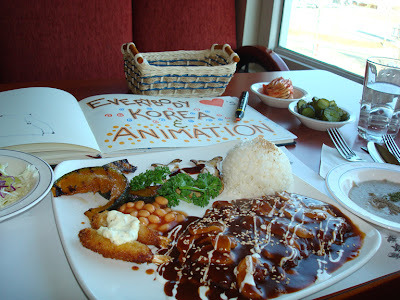 Well, at least there is a nice view of the Animation Museum just across the street. 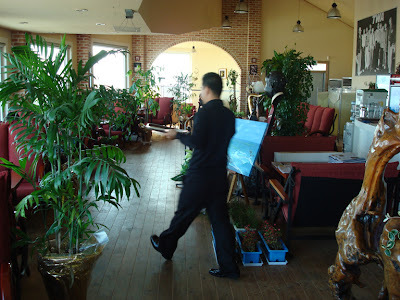 And this place is quite spacious and inspiring. I don't find that too often in Seoul. 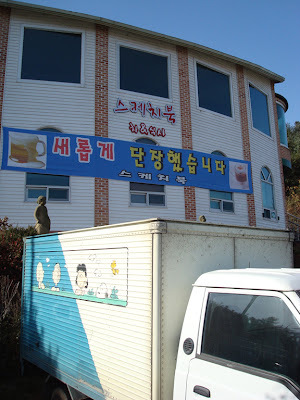 The food is quite good and plentiful, too. I guess I can pull out my sketchbook while I eat and help this place live up to its name, which happens to be really, really cool! If i have a chance, I want to go there, too! 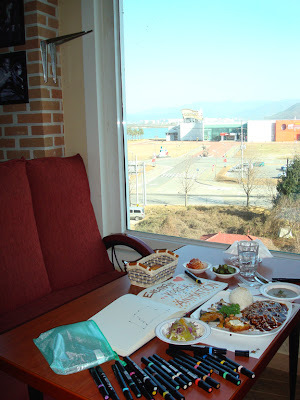 Maybe you can take a study break and go to Chuncheon for that beatiful cafe! But remember, there are no cartoons.